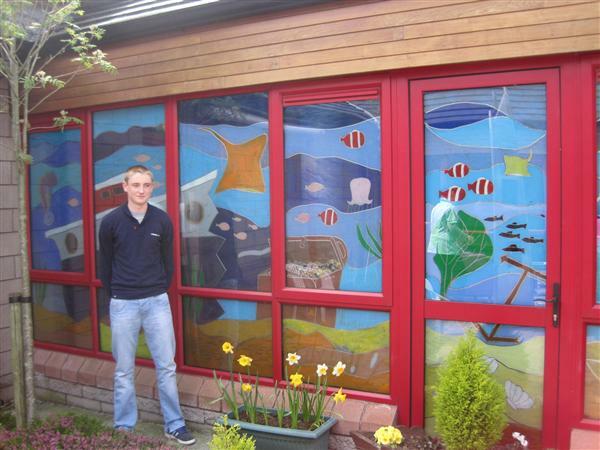 Adam Cooney, Transition Year, as part of his Community Care module visited the New Ross day care centre each Tuesday and brightened up the environment for the residents by painting a colourful seascape ‘mural’. The residents of the centre grew very fond of Adam and always looked forward to his visits. He is due great credit for the time and effort he gave to such a worthy project. 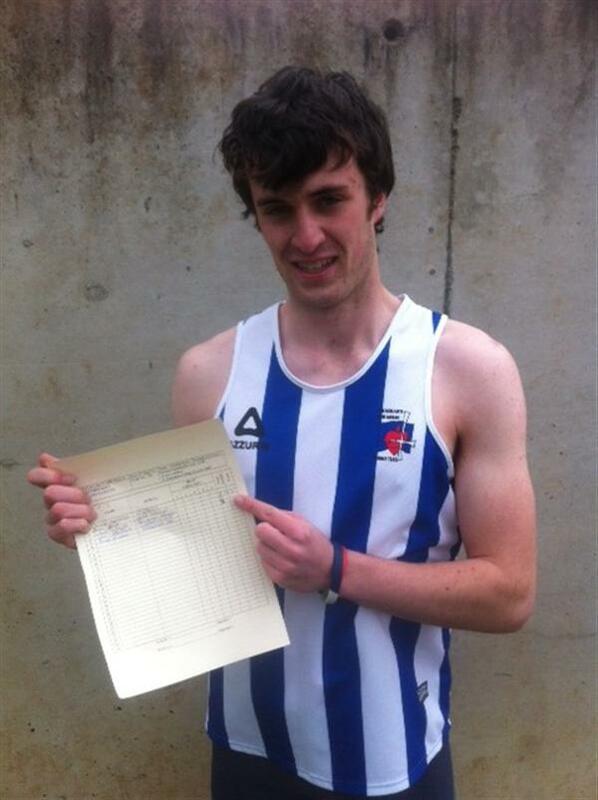 Eoin Power, many times national champion broke the South Leinster Schools 110m hurdles record on Wednesday last on his way to qualifying for the Leinster final. Eoin is an exceptional athlete and has represented his country in schools’ internationals over the past number of years. The 6th year Graduation mass took place in the school sports hall on Sunday morning with a huge crowd of students and their families in attendance. Fr Hennebry celebrated mass and spoke eloquently of the 6th year group, their closeness and friendliness while also remembering classmate David Wilson who died tragically earlier in the school year. Each student was presented with a copy of the 6th year group photograph and the team of prefects also received tokens of appreciation for all their work during the year. The Bob Quinn cup for student of the year went to Craig Collier who was complimented for his friendliness and warmth at all times around the school. The sportsman of the year cup was presented by Mr Kehoe to Paudie Barden, dual minor county star who, appropriately, was rushing off to play a senior hurling game for his club Adamstown. At the end of the ceremony, head prefect, Luke O’Loughlin, on behalf of the 6th year group, made a presentation to Fr. Hennebry on his imminent retirement and spoke of the regard in which the principal was always held by students who appreciated his kindness and generosity to them. The occasion would not have been complete without a move to the dining room for some refreshments. Thanks is due to all who put in such effort to make the Graduation mass a suitably memorable event, especially the R.E. teachers, Fr Hennebry, Kieran and Mikey, the kitchen staff and of course the boys themselves who helped set up, provided music, read and engaged so fully on the day.